almost everything that we would make would have a crest on it." 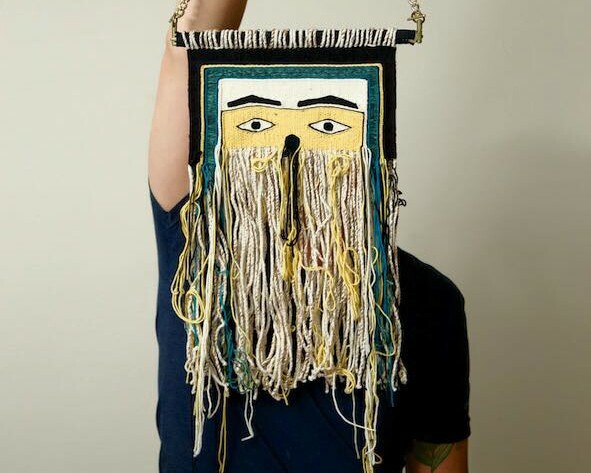 The significance of languages — written, spoken and visual — and their intrinsic relationship to multiple identities is a strong thread that runs through the artist's tandem engagements as a contemporary artist, indigenous weaver and drag performer. The Juneau, Alaska-based artist is in residence this week at Johnson State College, as part of the university's annual Ellsworth Lecture programming. Tagaban delivered his talk, “Weaving Politics and Process: Expressing Northwest Coast Textiles Through a Two-Spirit Life,” on Wednesday, April 12, and will offer a public weaving demonstration on Friday, April 14, 12:30 to 2:30 p.m. at Dewey Hall Commons. 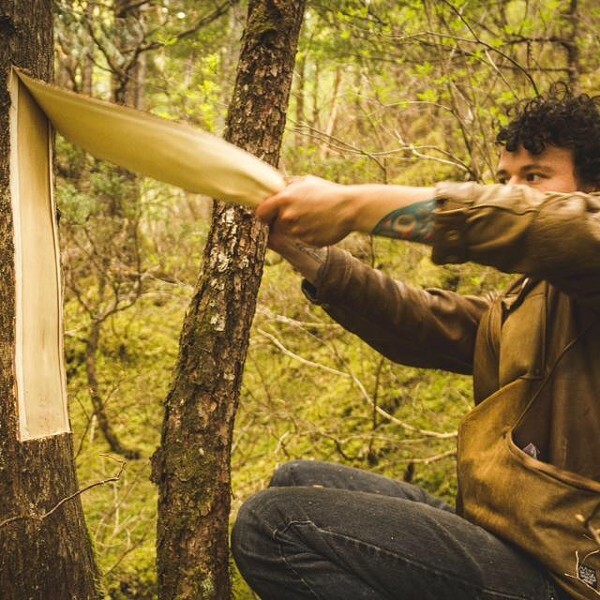 Tagaban, 27, began Chilkat weaving — a form of textile design practiced by first peoples of the Northwest Coast — in 2010. He was approached by master weaver Clarissa Rizal, a multidisciplinary artist who remains committed to keeping the Chilkat tradition alive, per a promise made to her mentor, Jennie Thlunaut. Thlunaut is widely credited with reviving the art form. "Jenny taught [Clarissa] that [Chilkat weaving] is women’s work," Tagaban told Seven Days by phone, "but there’s an exception for two-spirit people." In everyday life, Tagaban identifies as a gay man and uses masculine pronouns. But being a two-spirit person is more than just preferring the same gender. "I think of [being two-spirit] as a third gender … someone who has a male and a female spirit in the same body." Tagaban pointed out that because the conversation happened in English and not Tlingit, "there’s going to be a disconnect … surely something is lost in translation." For the most part, Tagaban says his community has been supportive of his taking up the form as a male-identified person. "I’ve noticed if people have a problem with it, [it's because] they’re very Christianized. Our tribe has been very assimilated, so we’re working with a limited knowledge base." Tagaban practiced different types of traditional Tlingit arts growing up, including jewelry engraving, cedar-bark weaving and beadwork. No matter the mode, the basis of Tlingit design is "formline," a visual language created through combinations of three simple shapes: ovoids, U forms and S forms. Of weaving in particular, Tagaban said, "It came to me — I didn’t go looking for it." Creating Chilkat garments and adornments has been integral to his process of situating himself as both Tlingit and queer. "Chilkat regalia generally was reserved for the most important people in the tribe … they're for really sacred ceremonies. "To make [Chilkat weavings] is a really prestigious thing, traditionally," Tagaban continued. 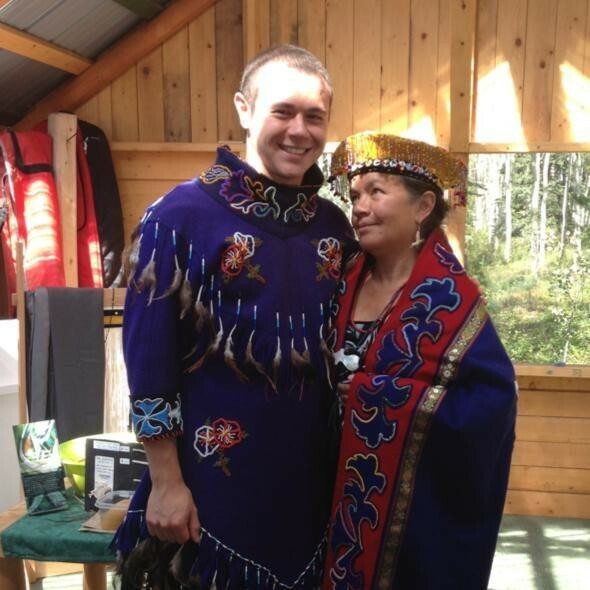 "So, for … two-spirit people to be able to make Chilkat, it shows that we weren’t stigmatized. We actually had an elevated position in our society before colonization began." 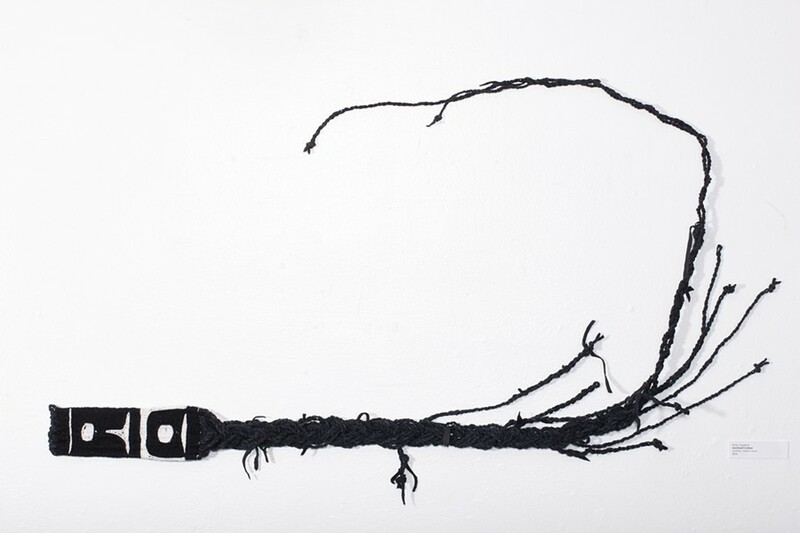 Tagaban said his practice as a textile artist has been "a process of unlearning shame," with striking parallels to doing drag. "Being a drag queen in 2017, whether I’m Tlingit or not, has been about unlearning shame around gender," he said. 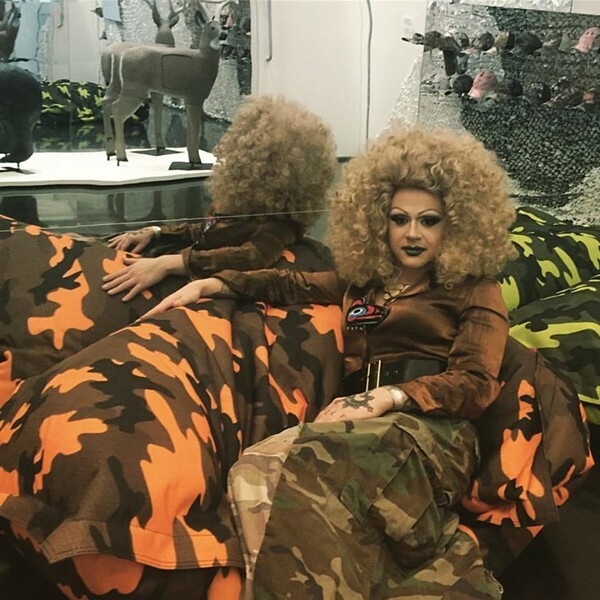 Tagaban first began performing in 2015 as part of Juneau's emerging drag scene — which notably features more drag kings than queens, at least currently, he noted. Tagaban's first solo show certainly merged these two significant components of his identity. "Sexual Sovereignty" opened at the International Gallery of Contemporary Art in Anchorage in July 2015 and featured works that directly combined traditional art forms with symbols and statements about sexual taboos. In a similarly hybrid vein, Tagaban performed "Tlingipino Bingo" — that's Tlinglit + Filipino — as Lituya Hart last summer at the Whitehorse Nuit Blanche art event, in Canada's Yukon province. Tagaban's ancestry is not only Tlingit but Filipino, American Indian and Caucasian. "When my great-grandfather came [to Alaska]," Tagaban explained, "it was illegal for Native people to marry Caucasian people. All these handsome Filipino men were there, so it was a really common thing to have Tlingipino families." An example of essential Tlingipino knowledge? The recipe for moose adobo, said Tagaban. Whichever form his work takes, Tagaban's artistic trajectory illustrates that identity is not only plural but perpetually open to creative interpretation.